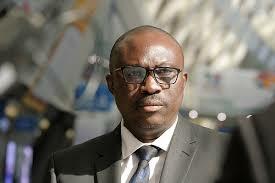 Minister of Finance Jacob Jusu Saffa has told Members of Parliament that the Sierra Leone Peoples Party (SLPP) government will increase the minimum pension wage of retirees from Le20,000 per month to Le250,000 effective January 2019. “As part of our efforts to improve the living conditions of our retirees, Government is increasing the minimum pension to Le250, 000 per month which is consistent with the NASSIT Act 2001 (50 percent of the minimum wage) effective January 2019,” the minister told lawmakers. The minister disclosed that the government would also harmonise the pension laws as there are multiple pension laws that create opportunities for certain categories of pensioners to receive several pension payments from the Consolidated Revenue Fund. He said that situation exists because the NASSIT Act of 2001 did not give consideration to the existing pension laws such as the State Salaries, Pensions, Gratuities and Other Benefits Act 2001, which makes it possible for some workers to receive two pensions when they retire. “To address the issue of multiple pensions, Government will review all pension laws with a view to harmonising them and ensuring that a pensioner is entitled to only one source of pension,” he said, adding that for far too long retirees have been suffering owing to the erosion of the real value of their pension payments. He said some significant number of pensioners receive less than Le20,000 per month as pension payment, which automatically classifies them as extremely poor people, adding that with such paltry amount pensioners cannot even meet their basic food needs let alone other necessities. The minister told lawmakers on Friday, November 1, while presenting the 2019 Appropriation Bill that Members of Parliament should receive support from MDAs to monitor various project sites but without efficacy. He said the parliamentary oversight committee on public sector projects has been weak largely as a result of inadequate resources to monitor various project sites. The minister noted that to enable lawmakers undertake independent and effective oversight of public sector projects, provision has been made for the procurement of vehicles, supply of fuel and payment of allowance to the relevant committees in parliament. He said the reports from parliamentary oversight visits will not only inform parliamentary actions but also feed into the national monitoring system.